The host of The Last Word with Lawrence O'Donnell, an MSNBC opinion and news program, O’Donnell graduated from Harvard College, where he wrote for the Harvard Lampoon. 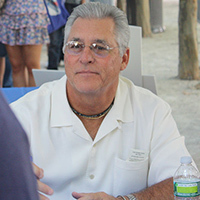 From 1977 to 1988, O’Donnell worked as a writer, including as the author of Deadly Force, about a case of wrongful death and police brutality in which O'Donnell’s father was the plaintiff’s lawyer. From 1989 to 1995, he was a key legislative aide to Senator Daniel Patrick Moynihan; his work included being staff director of the United States Senate Committee on Environment and Public Works and staff director of the United States Senate Committee on Finance. From 1999 to 2006, he produced and wrote the NBC series The West Wing (and played the role of the president's father in flashbacks). O’Donnell won the 2001 Emmy award for Outstanding Drama Series for The West Wing, and was nominated for the 2006 Emmy for the same category. 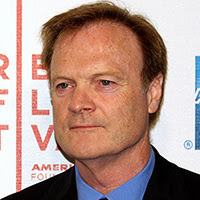 In 2002, O’Donnell was supervising producer and writer for the television drama First Monday, and in 2003, he was creator, executive producer and writer for the television drama Mister Sterling. He is also an occasional actor, appearing as a recurring supporting character on the HBO series Big Love, portraying an attorney. Before getting his own show on MSNBC in 2010, he frequently filled in as host of Countdown with Keith Olbermann on MSNBC. O'Donnell has also appeared as a political analyst on The McLaughlin Group and The Al Franken Show. The retired professional bodybuilder is best known for his title role in the CBS television series The Incredible Hulk, for which he vocally reprised the role in subsequent animated and computer-generated incarnations. As a young boy in Brooklyn, Ferrigno suffered a series of ear infections and lost most of his hearing, which caused him to be bullied by peers during his childhood. “I think my hearing loss helped create a determination within me to be all that I can be, and gave me a certain strength of character too,” he later said. Ferrigno started weight training at age 13, and after graduating from high school in 1969, won his first major titles—IFBB Mr. America and IFBB Mr. Universe, four years later. His attempts to beat Arnold Schwarzenegger in the Mr. Olympia competition were the subject of the 1975 documentary Pumping Iron, which made Ferrigno famous. In 1977, Ferrigno was cast as the Hulk in The Incredible Hulk, with Bill Bixby as Hulk's "normal" alter ego, and continued playing the role until 1981. Later, he and Bixby co-starred in three The Incredible Hulk TV movies. 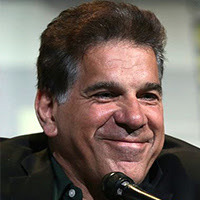 Ferrigno played himself during intermittent guest appearances on the CBS sitcom, The King of Queens, from 2000 to 2007. He made cameo appearances as a security guard in both the 2003 film Hulk and the 2008 film The Incredible Hulk, in which he also voiced the Hulk. Ferrigno appeared as himself in the 2009 feature film comedy I Love You, Man. He trained Michael Jackson on and off since the early 1990s, and in 2009, helped him get into shape for a planned series of concerts in London. Ferrigno has served as a volunteer officer in Los Angeles County; Maricopa County, Ariz.; San Luis Obispo County, Calif.; and Delaware County, Ohio. He has his own line of fitness equipment called Ferrigno Fitness. The actress and singer has appeared in over 60 films, although she is best known for her starring role in the National Lampoon's Vacation films (1983–2015). D'Angelo began acting in the theatre in 1976 and made her television debut in the first three episodes of the TV mini-series Captains and the Kings in 1976. After getting a minor role in Annie Hall in 1977, she appeared in a string of hit movies, including Every Which Way But Loose, Hair and Coal Miner's Daughter, the latter earning her a Golden Globe nomination for Best Supporting Actress for her performance as Patsy Cline and a Country Music Association award for Album of the Year. Her biggest break came in 1983 starring with Chevy Chase in National Lampoon's Vacation in the role of Ellen Griswold. She reprised this role in four Vacation sequels and a short film between 1985 and 2015. In the 1980s, she starred in many other major comedy films, and as of the mid-90s acted primarily in independent movies. In 1994, D'Angelo returned to the stage and won a Theatre World Award for her performance in the Off-Broadway play Simpatico. She received an Emmy Award nomination for her performance in the 1984 TV movie version of A Streetcar Named Desire. She later had main roles in numerous made-for-television dramatic films, including Slow Burn, Judgment Day: The John List Story and Sweet Temptation. In the 2000s, D'Angelo had a recurring role on Law & Order: Special Victims Unit as defense attorney Rebecca Balthus. From 2005–2011, she appeared in the HBO series Entourage playing the role of agent Barbara "Babs" Miller. In 2006, she starred in the independent film Gamers: The Movie. The Major League Baseball player and manager earned two World Series rings as the starting shortstop for the New York Yankees in 1977 and 1978, and was voted the World Series MVP in 1978. Dent is most famous for his home run in a tie-breaker game against the Boston Red Sox at the end of the 1978 season. The 3-run home run gave the Yankees a 3-2 lead in the 1978 AL East division playoff game against the Boston Red Sox. This was all the more remarkable because Dent was not known as a power hitter. Indeed, the home run was one of only 40 he hit in his entire 12-year career. Further, Dent occupied the ninth spot in the batting order, not generally considered a power slot. The Yankees went on to win the game 5-4, securing the division title in the process. Dent continued his unusually high production by batting .417 in the 1978 World Series, earning Series Most Valuable Player honors, as the Yankees defeated the Los Angeles Dodgers. A 3-time All-Star, Dent remained the Yankees' shortstop until 1982, when he was traded to the Texas Rangers, but finished his career that season with the Kansas City Royals. After retiring as a player, Dent managed in the Yankees' minor-league system, notably with the Columbus Clippers. He served the Yankees as manager of the big-league club for portions of two seasons, compiling an 18–22 record in 1989 and an 18–31 record in 1990. In 1989, Dent opened a Delray Beach, Fla. baseball school, which featured a miniature version of Fenway Park. Although Dent had his greatest moment as a player at Fenway Park, his worst moment also came at Fenway Park when he was fired as manager of the Yankees. From 1991 to 1994, Dent served on the coaching staff of the St. Louis Cardinals under manager Joe Torre, moving to the coaching staff of the Texas Rangers from 1995 to 2001. FAMOUS & 65 is a featured article in the November 2016 Senior Spirit newsletter.